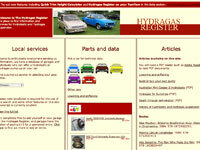 1100 related sites, please click on the image to the left to view the web site. All web links open in a new window. 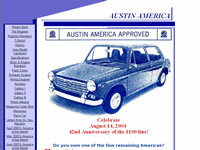 Todd Miller's website dedicated to the Austin America. 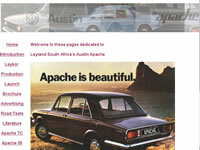 Martin Williamson's apache based website. 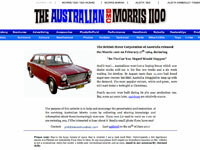 Phil Rixon's website about the Australian made 1100 and 1500 range of vehicles. Michael Carnell's website about the MG 1100. Michael also has a large collection of his models available to view. 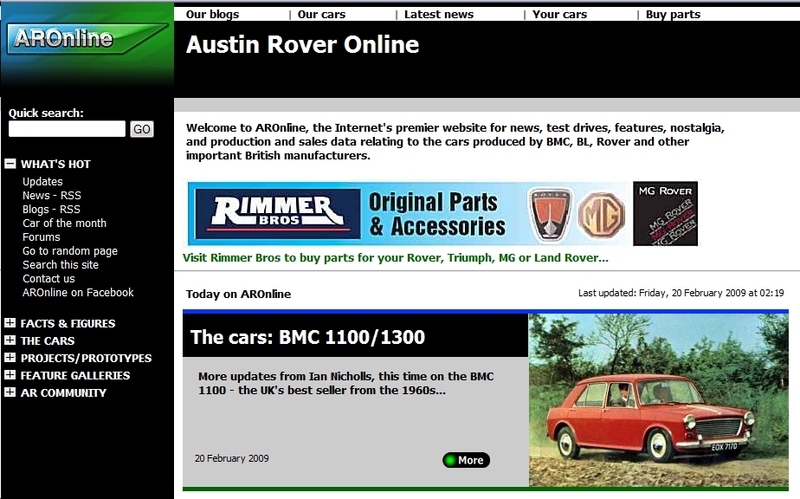 AROnline, the Internet's premier website for news, test drives, features, nostalgia, and production and sales data relating to the cars produced by BMC, BL, Rover and other important British manufacturers. The Wolseley Register, the original club catering for all Wolseley models, their owners and enthusiasts. 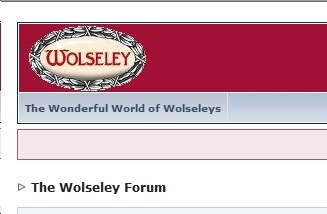 The aim of the Wolseley Forum is to raise awareness of the Wolseley marque.